Since its inception in 1874, Colorado School of Mines has seen many changes, always evolving to meet the changing needs of industry and our global society. Mines is a special and unique institution, and we all share great pride in our connections to Mines and each other. The bonds forged between students during their time at Mines are incredibly strong — they reach around the globe, networked through 26,000 alumni. In the spirit of evolution, and in the hope of enhancing the interconnectivity between our alumni and with Mines, we welcome you to a new era for Colorado School of Mines and its alumni association. You worked hard for your degrees, and we want to reward your efforts by welcoming you into the alumni association: an inclusive, no-dues network for all Mines alumni. 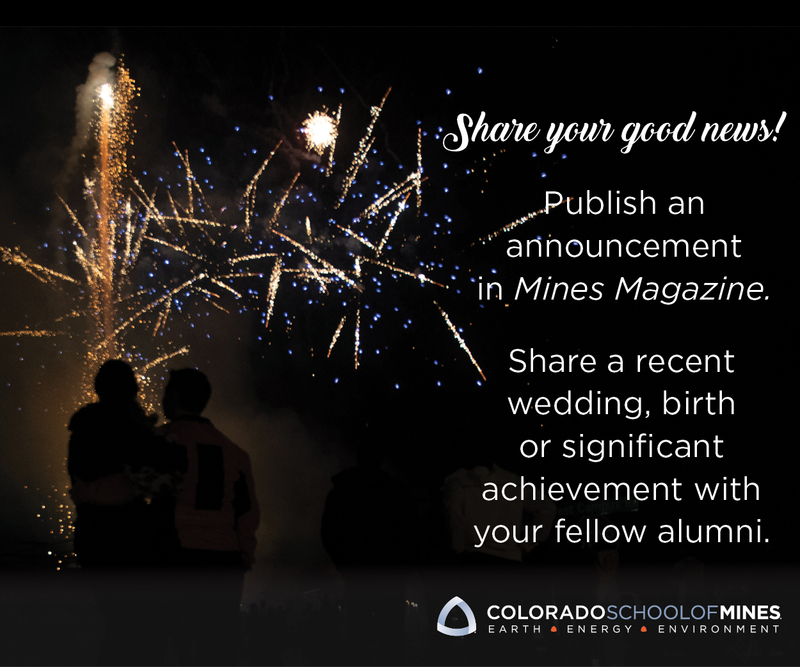 We are committed to enhancing your alumni experience through collaborative partnership between the Colorado School of Mines Alumni Association, the Colorado School of Mines Foundation, and the university. We believe this is important to the future success of our alumni and to the future of Mines. Our goal is to have an alumni network that other universities strive to replicate, and that we are the model for interconnectivity, affinity, and impact. Read more about our new programs and enhancements and visit minesalumni.com/WeAreMines today to see what’s in store, get connected through our online directory and volunteer opportunities, and get engaged with the passionate Mines community, wherever you may be. We are Mines!